Click on the 'Links' drop down menu to see other projects, organizations, volunteering opportunities, history, and cultural resources on Scotland. The Scottish St. Andrew Society of Greater St. Louis encourages its members to take part in the Scottish-American community. There are so many different ways to express ourselves culturally and we all fit together as one big family. Are you interested in curling? Want to learn how to play the bagpipes? Maybe you're researching your family lineage? Or even want to join another Scottish organization? Check out the tabs in the 'Links' drop down to learn more! Message us on our Contact page! 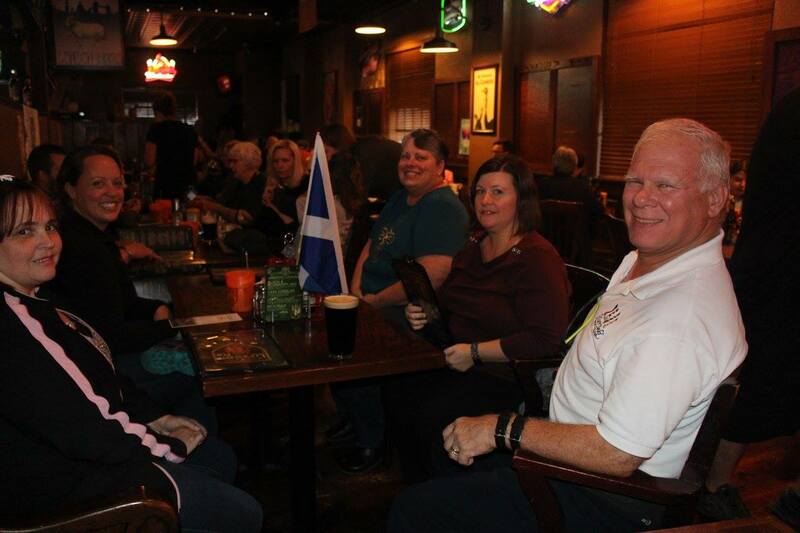 Officers and members gathered for our Outlander Social Night!